LINUX is an open source operating systems platform that offers functionality and features similar to what Windows users are accustomed to: web browser; presentation, document, and spreadsheet software; instant messaging; and more. Among the many benefits of open source platforms is that vast amount of online community-based resources. 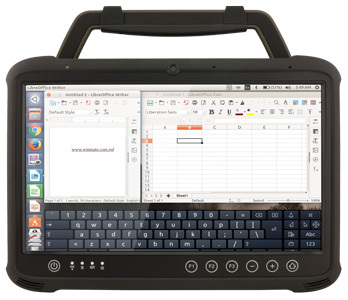 LINUX has also become a popular platform for embedded solutions as users can easily modify and configure both OS and applications to meet their specific needs. There are many different versions – or "distributions" – of LINUX, and Ubuntu is among the most popular. 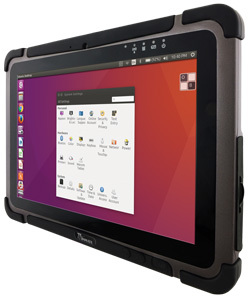 Winmate is now officially making Ubuntu LINUX available on the Winmate 10.1” and 13.3” Rugged Tablet PCs.